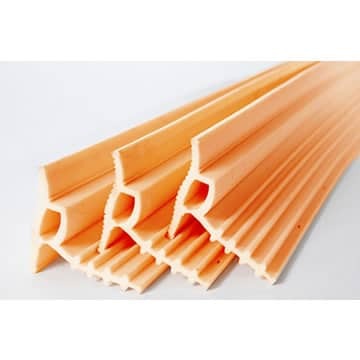 Product description: TX-100 PVC Waterstop is a specialist profile, designed specifically for construction and expansion joints between an existing and new structure. Its innovative design allows the TX-100 to accommodate large shifts; including lateral, longitudinal and differential movement, and those caused by thermal fluctuations and serviceability loads within the structure. Manufactured from 100% virgin PVC compound only, the durability and integrity over time is maximised as no scrap or recycled PVCs are used.